Some people who live and work in neighborhoods like Cleveland Park, Forest Park and Chevy Chase have voiced concern about pedestrian safety along the thoroughfare in the past. WASHINGTON -- Locals who live in Upper Northwest DC want DDOT to conduct a comprehensive study of potential changes to Connecticut Avenue NW. There have been suggestions to eliminate the reversible rush hour lane, in the center of Connecticut Avenue, to cut down on confusion. Many cyclists have also called for the establishment of dedicated bike lanes along the roadway. Three different advisory neighborhood commissions have passed resolutions that ask DDOT to examine Connecticut Avenue between Calvert Street and the Chevy Chase Circle. The resolutions have also called for the city's transportation agency to evaluate what impact any future changes to Connecticut Avenue could have on the surrounding community. 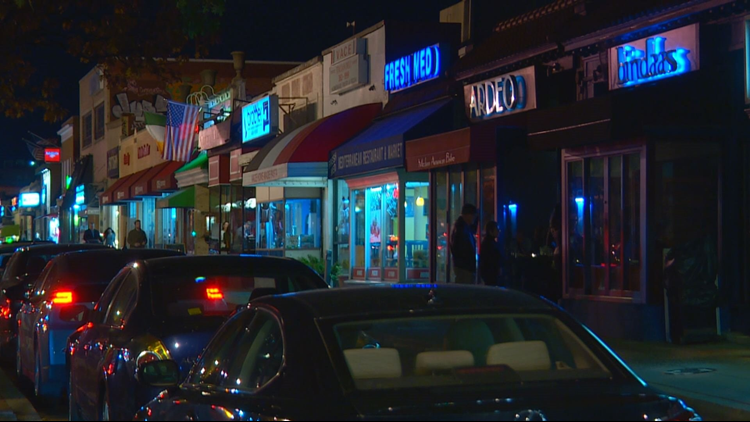 ANC 3F (Van Ness, North Cleveland Park) Chair Patrick Jakopchek said his neighborhood wants a holistic look at all the issues that affect the Connecticut Avenue corridor, including any potential business impacts that could come from any future changes. "The reversible lane (issue) is a big part of Connecticut Avenue, but it's not the only part," he said. Jakopchek pointed out that his ANC has not taken any definitive stance on what changes it would like to see occur on Connecticut Avenue. He said, at this point, ANC 3F just wants a study to take place. DDOT last conducted a comprehensive study on Connecticut Avenue in 2003. "This is a very early step in a process that will continue to be refined," he said. ANC 3F will hold a meeting on the matter Monday night, 7pm, at the Van Ness Main Streets Office. A representative from DDOT's Planning and Sustainability Division will make a presentation about the future study and answer any questions the public might have. DDOT Spokesperson Terry Owens said the process is still in its early stages. "We still have to procure a contractor for the study," said Owens said. "That's expected to be done in Spring 2019. The study itself should take approximately 9 months."